This is very poor quality and I apologize for that. The camera didn't showcase what my eyes saw very well. There are much better videos out there which begs me to wonder, with all the evidence out there why hasn't this thing been cataloged by science yet? I mean, how many more hair samples, eyewitnesses, footprints and videos do they need? I think scientists are just stubborn old men who don't believe in anything unless it's on their dissection table. I believe these things are real and I believe that I may have seen one. I wasn't looking for it, it just happened. It's naive to think that a large creature with even a moderate amount of intelligence can't hide in such huge tracts of land without being seen. Indeed, it's not only possible, I believe it to be fact. Now, scientists estimate that there are thousands of uncataloged creatures in the deepest parts of the ocean. Why is it then impossible for something to be deep in the woods where people rarely if ever tread? I think it was just last year that they "found" a huge type of bat... Was it hiding, lucky or just in the right place at the right time in front of the right people? How long was the Panda a myth before it was "discovered?" W.Va. -- A West Virginia man on Saturday captured on video an unknown creature he says he is certain to be Bigfoot. David Watts, a multiple online store owner dedicated to selling artistic accessories, says he was out in the "middle of nowhere" when he captured the images. "That's the craziest thing I've ever seen in my life. You always think it's a hoax until you actually see it with your own eyes yourself," Watts said about the encounter. The 1-minute-long video shows what appears to be a bipedal being walking down a wooded area of an unspecified mountain. The quality of the film is only 240p and difficult to make out a clear shape of the alleged beast. "There was a very very large man-like bear creature walking around up on the ridge. I was looking right at him, it was just kind of hanging out. The weirdest thing I have ever seen in my life. I was near a road, so of course Bigfoot being notoriously shy, so he is not gonna come down here." Watts, who appeared to be surprised to spot the purported cryptid outside of Canada, owns a non-Bigfoot related YouTube channel where he promotes his online stores. "I actually thought they were from Canada. I'm in the middle of nowhere, so it kind of makes sense, they are solitary creature," added Watts. Watts says he is sure the animal was not a bear. "That's the most amazing thing I've ever seen in my life. If that ain't Bigfoot, I don't know what it is. That's definitely gotta be Sasquatch or something. I just wanted to share it with the world... my Sasquatch sighting," he said. 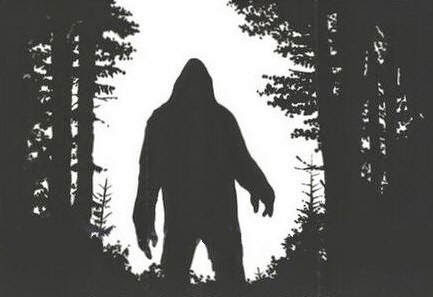 Last year, a truck driver told Cryptozoology News he was startled after witnessing a similar creature with the help of his binoculars while sitting inside his truck parked at a TravelCenters of America truck stop in Utah. The post Man Captures 'Bigfoot' on Camera in West Virginia Mountain appeared first on Cryptozoology News. Alaska was still considered a mythical place by the Europeans in the 1700's and the gorilla was considered a mythical creature into the 1800's.